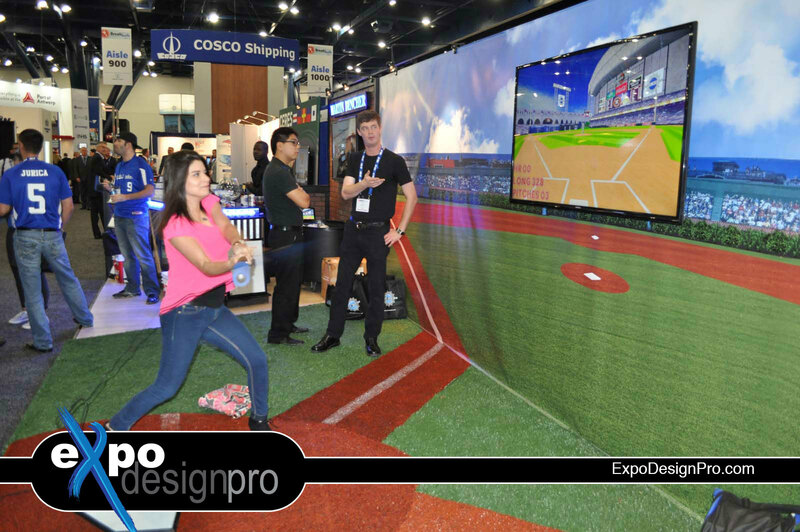 Wow, what an amazing booth this was to build, the scope was baseball as you can see. 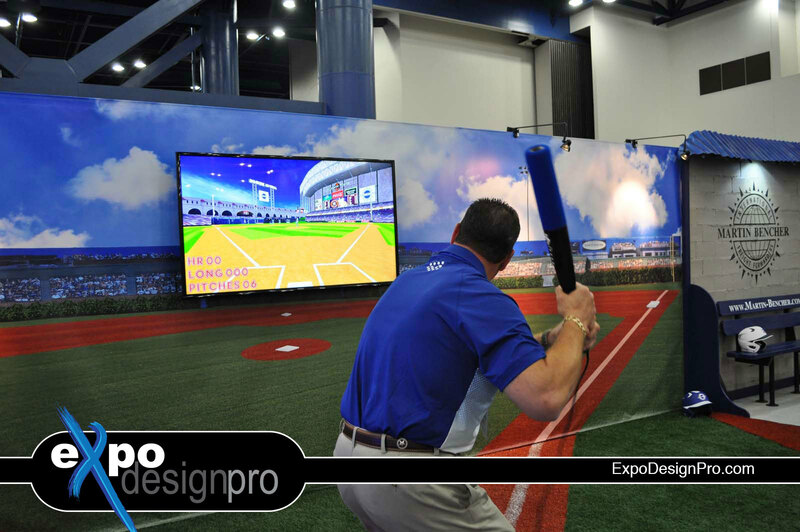 Our client had the need to be able to simulate a baseball stadium complete with a dugout and the sports bar. Our objective was to find a place to take a picture of a baseball field and then build off that banner. We were able to find a location and from there the creative juices would flow. As a reseller of Synlawn, we were able to get the artificial turfs in order to achieve the field and the base lines. We cut the pieces to fit. 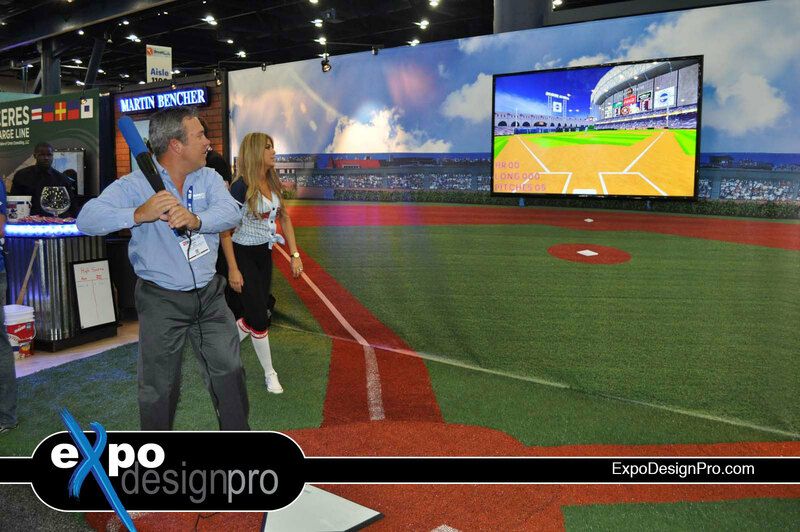 The sports bar was completely custom built including the bar filled with LED lights, baseballs, and a 40" LED TV screen to show our customers slides. 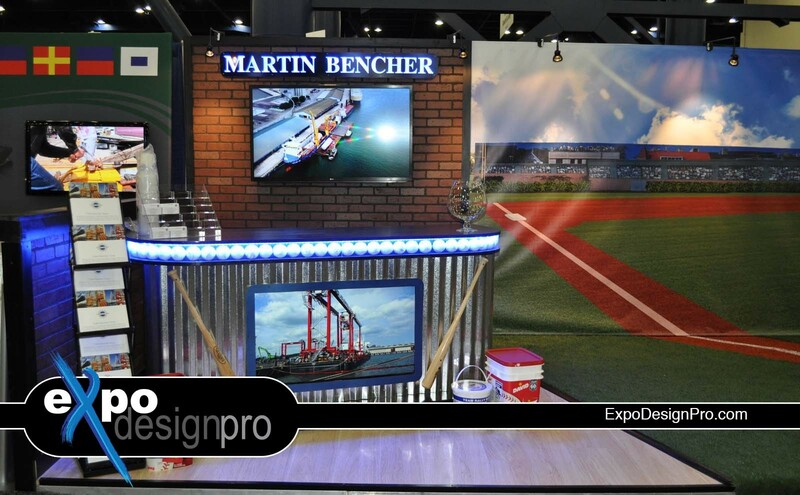 We built the Martin Bencher sign on the brick wall as well. 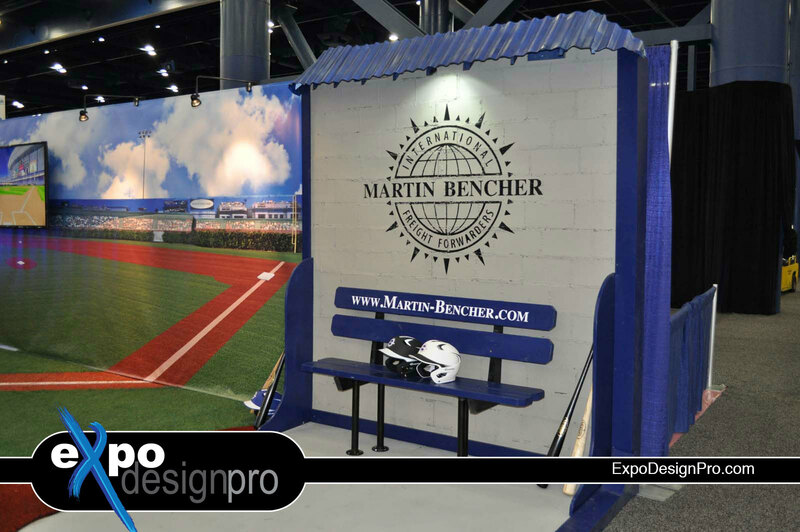 Our objective in the dugout was to build a lightweight mobile dugout that could be easily moved and fight right into the booth. We achieved the look of cinderblocks along with concrete floors and a corrugated steel roof. 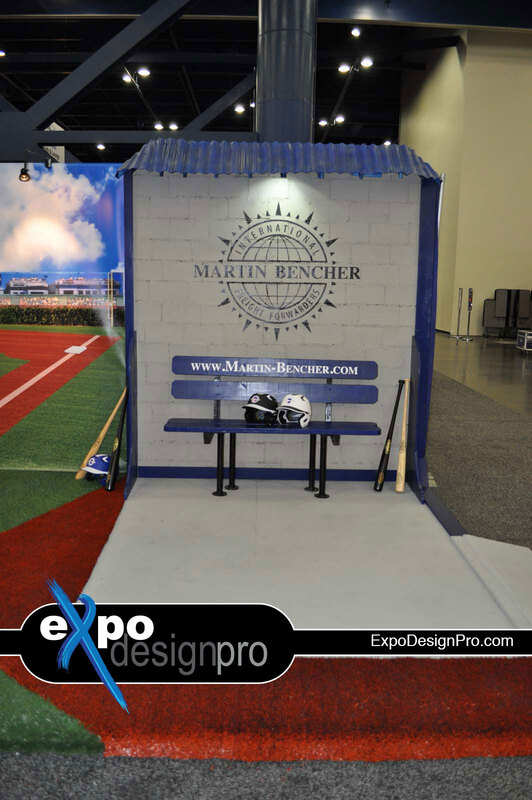 Custom dugout bench branded with our clients URL along with the hand painted logo on the cinderblock. 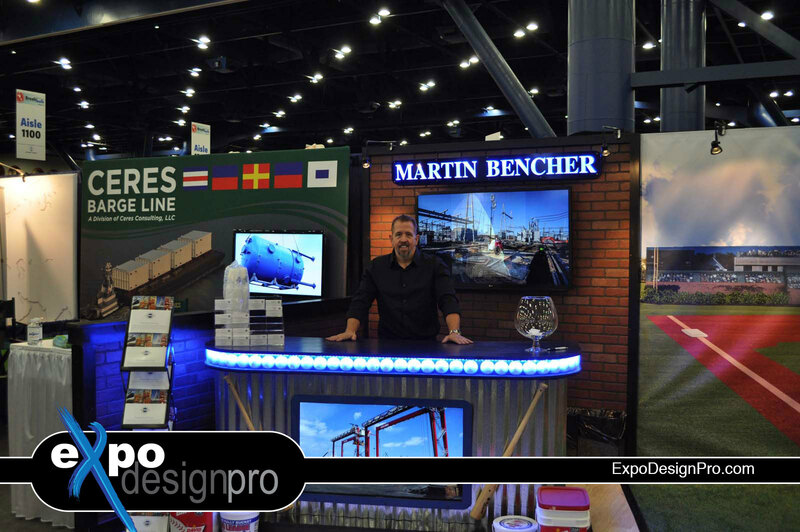 The amazing thing about Expo Design Pro is we take out of the box ideas and turn them into a reality. 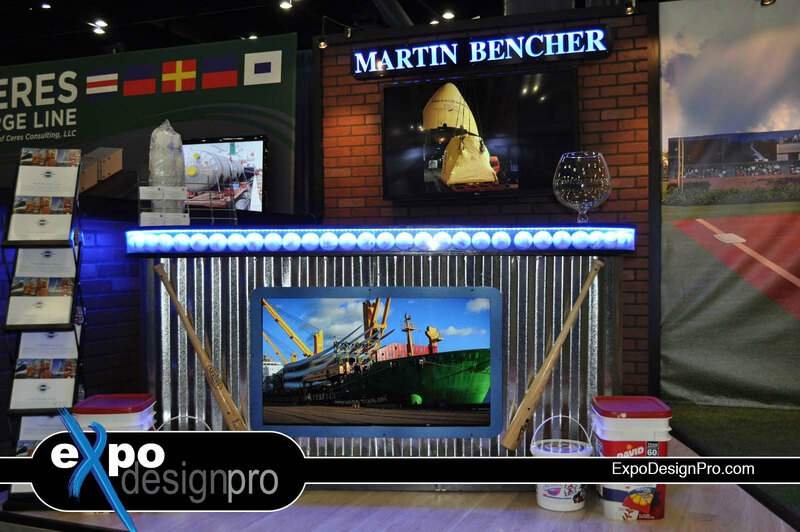 Our booths can be anything you want them to be. 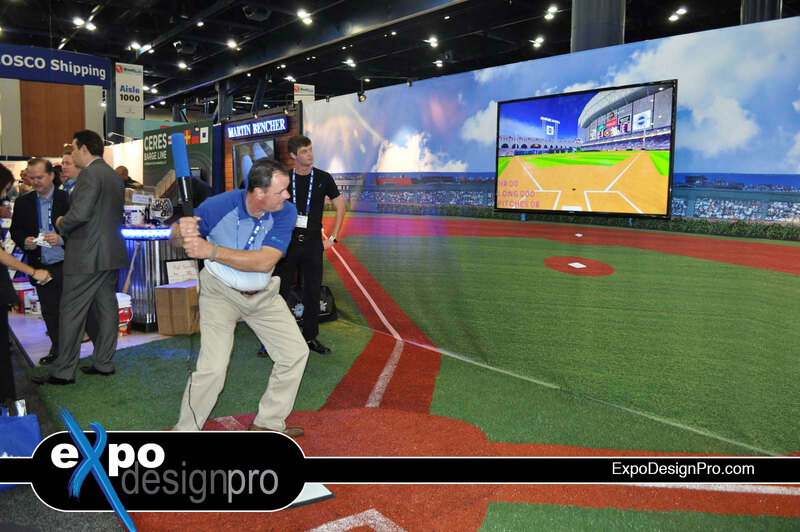 Most of the time our clients want us to build interactive trade show booths that are designed to keep attendees entertained while our clients explain to them how they can help.